I was impressed by Lorna’s research and the materials she created to empower special needs parents. As familiarity developed, the group became attached and supportive of one another. Lorna’s focus on how spirituality can aid and empower parents were an important part of each session. I left each meeting more informed and equipped with tools to enhance my life and hopefully lives of others around me. I really enjoyed sharing my perspective candidly with the group and benefited greatly being able to hear others felt the same way. The open candor of everyone was refreshing. Being able to look at our situations from a spiritual perspective was as important to Traci and me as much as the sharing with other parents. 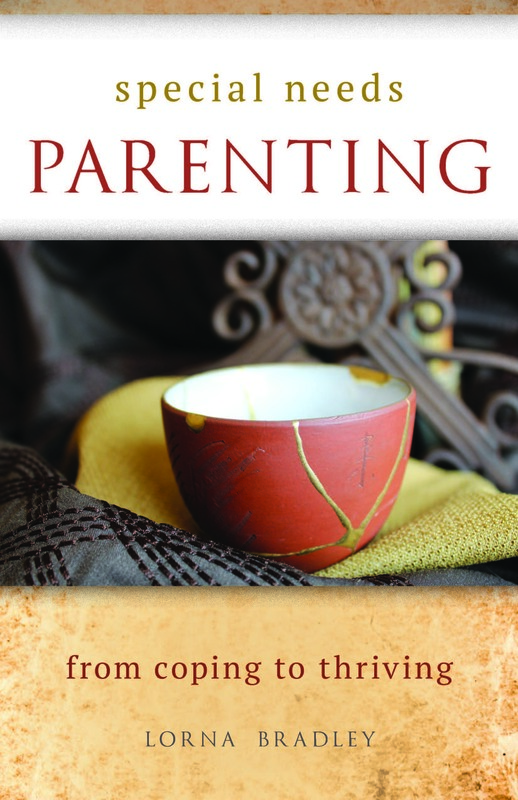 Lorna’s book focuses on topics that special needs parents experience every day, but that are often ignored because of the unique challenges we face as parents—topics like grief, self-care, and healthy relationships. Although the children of our group members had different diagnoses, Lorna’s book linked our common concerns and experiences that led to sharing, connections and personal growth. Special Needs Parenting is full of thoughtful reflections and personal stories from the author’s own journey of parenting a child with special needs. Like an expert guide, Lorna leads the reader down the path of understanding and acceptance, through the twists and turns of loss and loneliness, ultimately arriving at a place of peace and hope. I came away with the wonderful reassurance that Jesus knows what I am going through, and that he genuinely cares for me and for my child. The small group meetings for Special Needs Parenting were timely for my wife and me as we were going through a bit of drama and uncertainty with our teenage daughter. We were able to get the moral and spiritual support we needed from the group. Although each parent has a child with different needs, the needs of the parents are the same—the need to know that you are not alone. This small group stands out as a real blessing. Special Needs Parenting: From Coping to Thriving was a blessing for me. Lorna’s gracious way of sharing her own journey as a special needs parent gives substantial credibility to her advice. It helped me find the support and tools that made my own marvelous journey even more wonderful. Rev. Dr. Lorna Bradley writes beautifully. She imparts many truths with hope and humor about the journey to healing involved in parenting a child with special needs. Her perspective is unique and universal, and a great source as I navigate a path for my own child. The journey of parenting a special needs child is one fraught with joy, anxiety, rewards and despair. Rev. Dr. Lorna Bradley understands this firsthand and shares the wisdom of her personal path and professional expertise in this wonderful curriculum. In many ways, this study saved my life and I am a stronger, more spiritually person because of it. And, in the end, this makes me a better mom. I have truly needed to hear and think about everything Special Need Parenting: From Coping to Thriving has taught me. The self-care chapter in particular has been a huge blessing to me. Understanding why it’s important to take care (and seeing the negative consequences of not doing so) has really inspired me to go for walks, commit to regular prayer time, and step outside for even five minutes. This book is a huge blessing to special needs parents! The coping techniques for special needs parents was very insightful. Prior to attending the class, I was feeling a multitude of emotions that were difficult to recognize and acknowledge. The practical tools and biblical teachings provided helped me identify what I had been feeling all along, and I was able to use the tools to help in interactions with my child.